Fault Tree Analysis has been used in reliability engineering for many decades and has seen various modifications to enable it to analyse fault trees with dynamic and temporal gates so it can incorporate sequential failure in its analysis. Pandora is a technique that analyses fault trees logically with three temporal gates (PAND, SAND, POR) in addition to Boolean gates. However, it needs extending so it can probabilistically analyse fault trees. 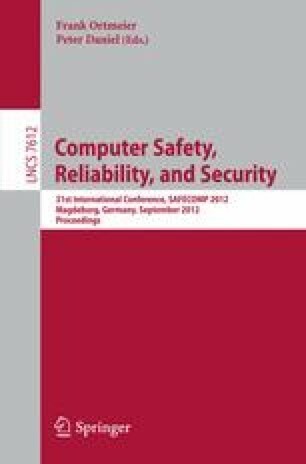 In this paper, we present three techniques to probabilistically analyse one of its temporal gates – specifically the Priority-OR (POR) gate. We employ Monte Carlo simulation, Markov analysis and Pandora’s own logical analysis in this solution. These techniques are evaluated and applied to a case study. All three techniques are shown to give essentially the same results.